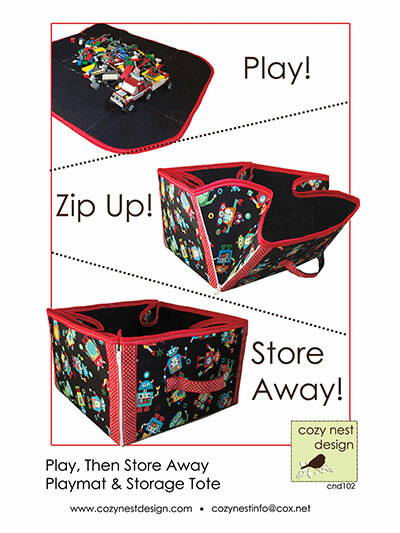 Sew Your Own Storage Sewing Patterns for Storage Totes and More! Do you keep making several trips up and down the stairs to carry things? 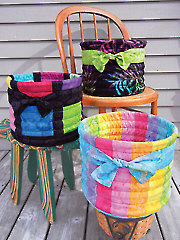 Why not just make one trip when you sew this One Trip Stair Basket. 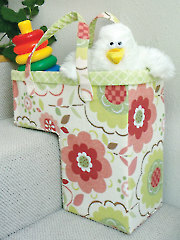 Keep your stairs clutter-free with this decorative and functional stair basket. 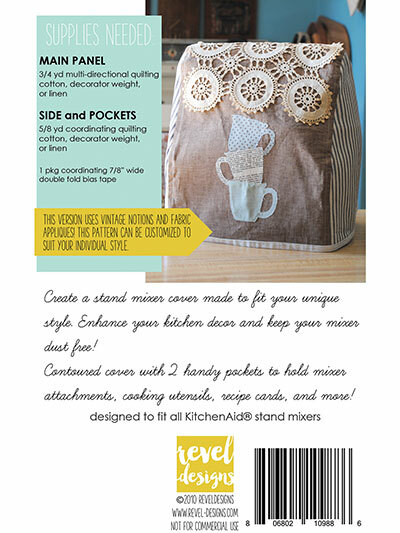 Just load with all those items that need to go upstairs (or down) and take them all in one trip. There is a roomy interior, optional outer pockets for even more storage and two handles. Fits stairs up to 8 1/2" high and at least 7 1/4" deep. 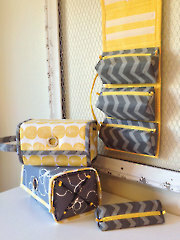 Finished size is 15 1/2" x 14 1/2".